YoYoExpert Blog & Yo-Yo News – HUGE YoYoFactory Restock! EDGE, 9 Dragon Shells, & More! The Edge is the signature yo-yo for 2016 PNWR 1A Champion and the latest addition to the YoYoFactory team – Evan Nagao! Evan is a really standout performer, everything from his tricks, to his movements, to his killer Hawaiin shirts is unique and sets him apart from the crowd and we couldn’t be happier to see him get a signature model! When YoYoFactory started working with Evan to create his yo-yo, they were pleasantly surprised. Evan didn’t have any set idea of what his yo-yo would look like, no dimensions or weight or preset specs, he just knew how he wanted it to play and feel. 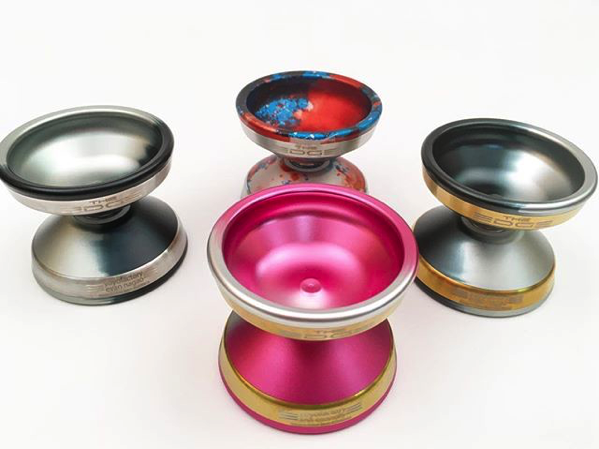 YoYoFactory went to work, translated what Evan was looking for into a tangible design, and after a few tweaks the Edge was born! It’s not huge, it’s not heavy, and it’s specs are within the realm of yo-yos you may have tried, but the feeling you get from the Edge is totally unique. It was designed to give Evan that extra edge when he’s hitting some impossible new combo or rolling around on stage, and that’s exactly what it does! Introducing the Shutter, Gentry’s third signature release. The yo-yo that helped him take the 2013 National Champion Title. Built from the ground up, the Shutter features an inner foil design to achieve a weight distribution that offers power, speed, and control through long technical combinations and flashy performances. It also offers unique finger spin opportunities on both inner faces as well as a central and outer ring grind capabilities. 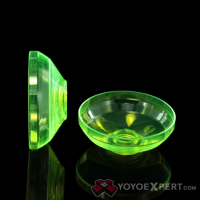 YoYoFactory worked with legendary yo-yo designer Kentaro Kimura on Vashek’s latest design to get it just right. They started with the base design of the CZM8 and tweaked it to create a more comfortable and higher performing yo-yo without losing that special something that VK loved about his previous signature models. The edges are smoothed out, the weight distribution is more rim focused, and the end result is a sleek and simple design that offers the perfect mix of stability, spin time, and maneuverability – Ideal for any play style! The Replay Pro outplays just about any yo-yo in it’s price range and once you start throwing it you’ll completely forget that you’re shredding through your hardest combos with a $15 plastic yo-yo! These are Replacement spinning shells for your Nine Dragons yo-yo! 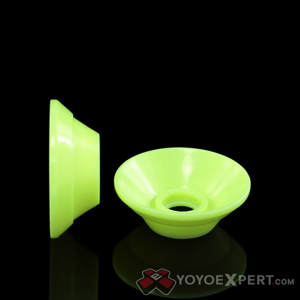 Replacement Shells allow you to customize the aesthetic of your Nine Dragons yo-yo, but more importantly they provide you with the ability to extend the lifespan of your favorite yo-yo by replacing any broken shells! These Shells are made from durable and lightweight Polycarbonate plastic. V5 Shells are smaller and fit on the inside gap of your Nine Dragons. They do not cover the rims. 9 DRAGONS SHELLS AVAILABLE HERE!